FREE samples at no charge up to 3 samples. Ship via US mail within 24-48 hours. What can't you add to flat poly bags? These common pouches hold items as varied as bolts and specialty spices. APlasticBag.com's goal is to please all businesses with a quality flat plastic pouch with added style. Businesses with a custom trademark added right to the pouch will see company visibility soar with profits to possibly match in exchange. Any bag must be matched to their application, so let APlasticBag.com know what products are to be held within these pouches. For instance, buttons on display at a fabric store benefit from a small, side seam holder. Bags for liquid applications need a strong base seam to keep all contents fresh and untouched. No worries exist with bags not holding up under weight stress. 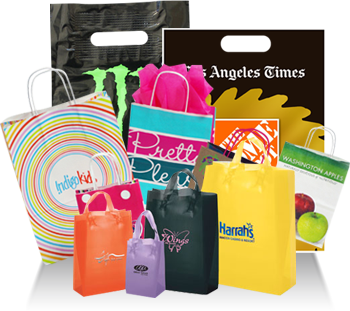 APlasticBag.com works with varying holder thicknesses to find the best match with a business's products. Thick plastic holds up with heavy duty applications, whereas thin pouches are budget-friendly for small or lightweight products. Allow that bagged product to shine halfway across the room with colorful pouches and text. Don't settle for a clear bag with black text. Think outside the box to create bold color mixtures, such as red with purple. These holders should provide functionality for businesses while advertising throughout their transport periods. Whether a business needs 50,000 bags next week or 500,000 pouches within the month, APlasticBag.com can fulfill these orders with beautiful printing that lasts the life of the bag.